BRYAN EATON/Staff Photo. 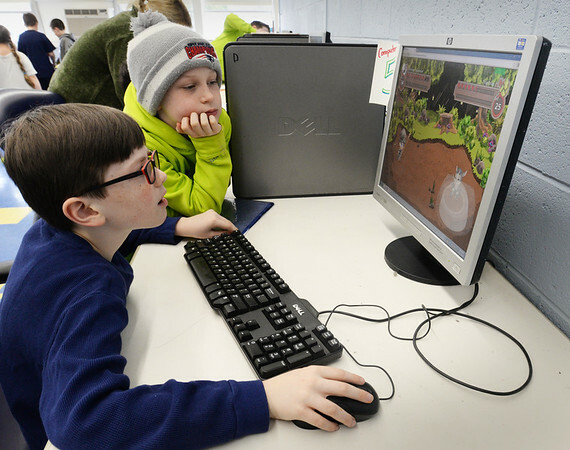 Jake Sherman, 10, right, watches his friend Tristan Scully, 9, both of Newburyport play a game of Prodigy in the computer room at the Boys and Girls Club. He was trying to beat an earlier score in this game that uses a lot of mathematics.